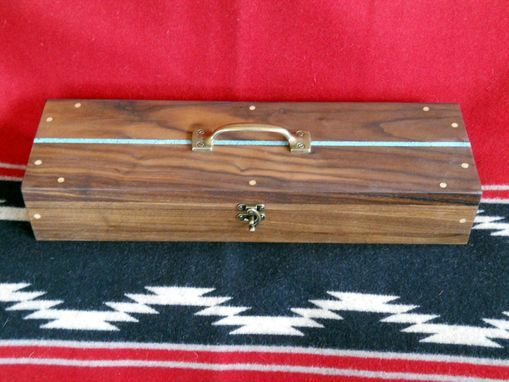 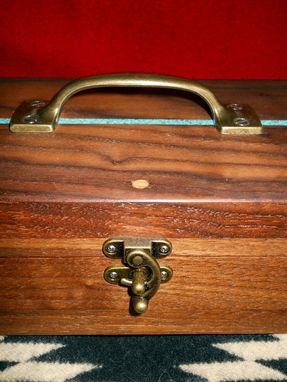 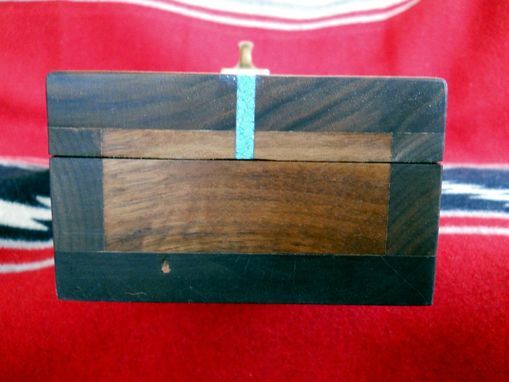 Black walnut box with turquoise inlay and velvet flocking interior. 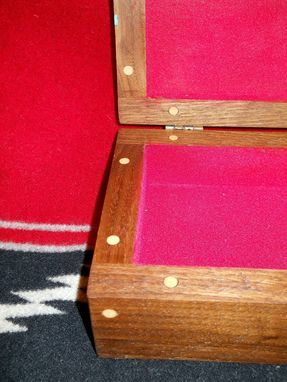 This was a custom project to house a ceremonial fan. 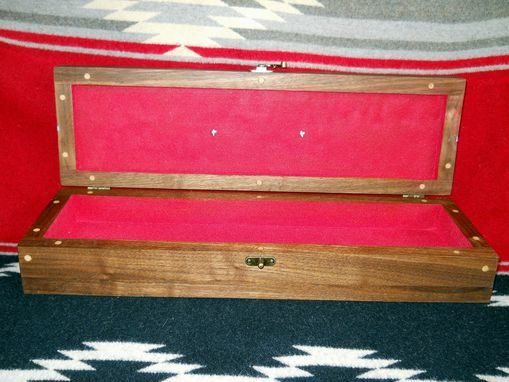 red velvet interior flocking, and antique brass hardware.